Does it Come with the Furniture? Increasingly, Home Sellers say "Yes". I read an article in today's Wall Street Journal about Fort Worth, Texas becoming increasingly popular with home buyers. But there was quick mention of a luxury home that was sold with all the furniture and I thought, wow, it's not just a Cape Cod thing. 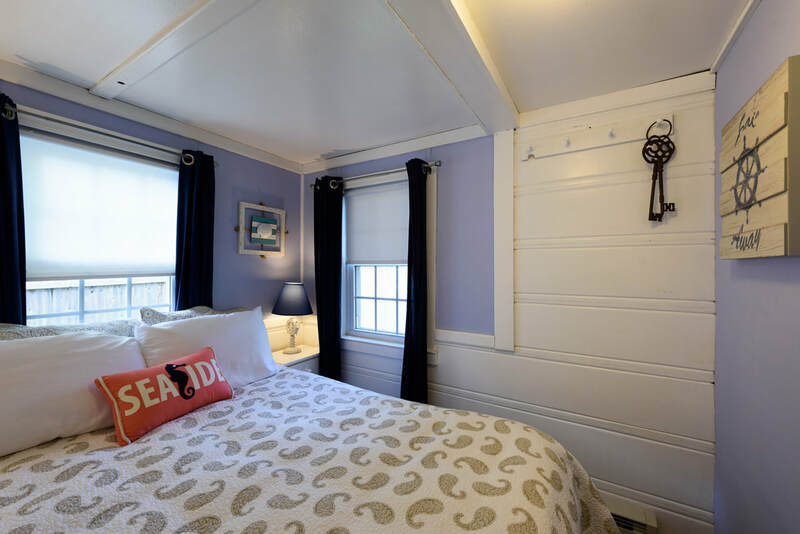 Half of the homes on Cape Cod are vacation properties. When it's time to sell the house, owners often have no use for the furniture-- they already have a furnished house off-Cape. Or sometimes grown children in far places must sell their late parent's Cape house from a distance and they have no idea what to do with the dated furniture. The luxury house in Fort Worth, TX, had beautiful decor that was gorgeous in that particular home. More than ever, for many reasons, houses are being sold fully furnished. The Cape Cod and Islands Association of Realtors doesn't track whether furnishings "convey" with the real estate-- I'm speaking from my own experience as a realtor on the Cape. I've sold many homes with the furniture included through the years. Of the three listings I currently have, and the two coming online in the next few days, the furnishings are included with three of them, and negotiable with the remaining two. Sometimes a property listing specifies that the furniture comes with the house, but other times, the furniture comes up privately in negotiations between the buyer and the seller. Even later in the process, when the sellers see how difficult it is to clear out a house before the closing date, they often ask if they can leave the furniture behind, even though they insisted earlier in the process that they wanted it. For their part, buyers love that they don't have to come up with the money to buy everything all at once, either for a first home, a vacation home, or a home they intend to offer to the summer rental market. Some plan to replace the furnishings little by little as their budget and time allows, but the jumpstart of a fully or mostly furnished house is a bonus. Your real estate agent will create a list of every furniture and accessory item that will come with the house, and the buyer and seller will each sign it, lest there be a misunderstanding during the final walk-through that some of the stuff is gone. That list of furnishings will be treated as a "side agreement", or addendum, to the Purchase and Sale Agreement. You do not want to mortgage used furniture over 30 years, and your lender won't allow it anyway. So the side agreement should show a zero dollar value to all that is left with the house. Sometimes the buyer and seller strike a deal that the furnishings will be sold on the side for, say, $5,000, or $15,000 or whatever amount is agreed upon. In that case, the addendum will specify that fact, and the buyer will hand over a personal or bank check for the furniture at the closing table. The funds are kept out of the real estate transaction. When handled properly, the sale of a home with all the furnishings can be a bonus for both buyer and seller. Look for more such sales in the future. The days of furniture being more attached to the house than to the people who lived with it, are here. Our shark "situation" on Cape Cod gives us a dubious distinction. The tragic, fatal shark attack in Wellfleet in September remains the lone shark fatality in the U.S. for 2018. Whether you're terrified and no longer swimming here, or you're buying shark plush toys for kids, or you have a scientist's fascination with them, great white sharks are commanding a lot of attention. I recently found this video of National Geographic photographer Brian Skerry employing a boat, a seal decoy and a drone to capture a photo of the elusive predator just offshore last summer. I hope you enjoy it. And know that, while you plan your next summer vacation on Cape Cod, there are scores of officials in the public and private sector working diligently to keep our waters safe. Cranberries-- those tart little antioxidant powerhouses, are one of the many things that makes Cape Cod special. The Cape has a rich Cranberry growing history dating back to the 18th century. Little has changed in this industry since then. Our abundant salt water floods the fields every October to float the berries to the top. I was driving by one of the harvests the other day. The first thing I noticed was that a familiar green field now looked like a lake big enough for a small boat. But a closer look reveals something very different--men standing only knee-deep in waders, pulling solid rakes across a surface of red. The "lake" is only temporary. The bog is intentionally flooded to allow the mature berries to float to the top. Once the berries are gathered and hauled away by the truckload, the bog is drained and the field goes to bed for the winter. Just in time to take advantage of the "Ahhhh Season" on Cape Cod. Cape Codders think September and October are the best months. What better way to celebrate than with your own little place to plop? Check out this adorable, fully furnished and sophisticated space. Use it for yourself, rent it out, house the in-laws, au pair or overflow guests. So many possibilities. Call or text me at 617-637-6711 to view in person. Some deserving Cape Cod homeowners will get much-needed home repairs when an army of volunteers descends on Harwich later this month. 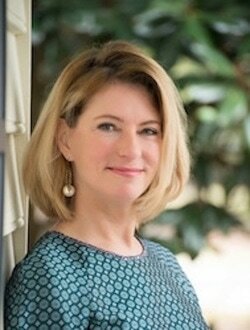 "The Big Fix" works with the Housing Assistance Corporation of Cape Cod to identify needy homeowners having trouble maintaining their properties, according to Anne Van Vleck, Corporate Development Officer. "It's seniors, military veterans and the disabled who need the help most" says Van Vleck. Van Vleck says interested homeowners go through an application process to determine income eligibility and need. "The homeowners are tremendously moved and grateful for the help they get during The Big Fix". In prior years, The Big Fix has helped dozens of homeowners in Barnstable, Dennis, Sandwich, Mashpee, Yarmouth, Bourne, Brewster and Falmouth. As many as 275 citizens roll up their sleeves and join teams, depending on their skills. Painting, landscaping, minor carpentry, plumbing and electrical work are among the tasks performed at the homes. I will join some of my fellow Cape Cod Realtors helping homeowners in Harwich Saturday, September 22. We'll assemble at Monomoy High School and be assigned a team and a property. Corporate Sponsors will provide food and the necessary tools. They also donate funds to the Housing Assistance Corporation for its core mission of helping Cape Codders with housing education and assistance. To learn more about the Housing Assistance Corporation of Cape Cod, click here. To register as a volunteer for The Big Fix, or to make a donation, go here, and to see a before and after of last year's Big Fix effort in Falmouth, enjoy the video below. While visitors to Cape Cod see the familiar gray shingles that make up the classic Cape home style, homeowners are seeing red. Prices on cedar shingles are up 20 percent, swept up in a trade war between the U.S. and Canada-- the main exporter of cedar. Tony Shepley of Shepley Wood Products says Cape Cod has the highest concentration of gray shingles in the country. Shingles make up 10 percent of the cost of a new home, Shepley says in an article published on Bloomberg. Cedar shingles make the perfect siding for coastal homes. 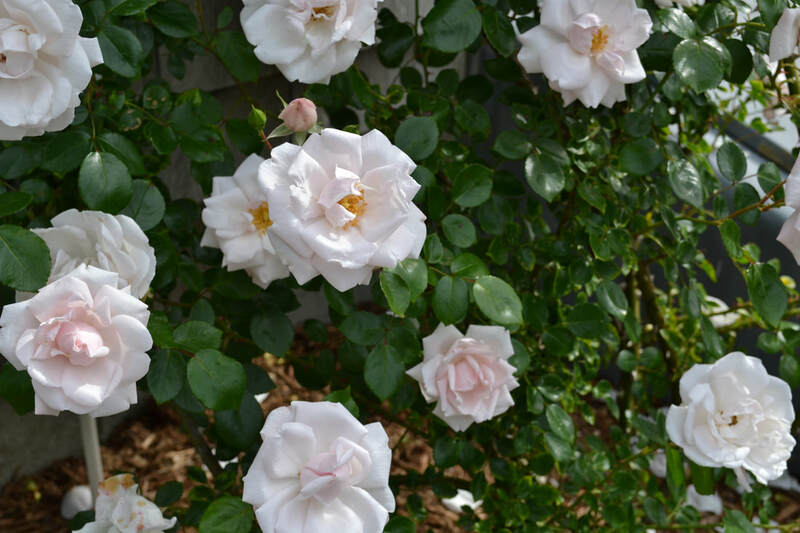 They hold up well against the salt air and are naturally insect-resistant. They don't need painting or staining. Put them up and you get 20 years of maintenance-free use on the southern exposure of a home, 30 years on the east and west sides, and 40 years or more on the north face. Plus, they have a look you see only on the coast. Cedar shingles applied away from the ocean weather a streaky brown rather than white/gray. With prices so high, Shepley predicts some homeowners will turn to manufactured shingles that mimic the shingle look, but are comprised of composite materials or vinyl. 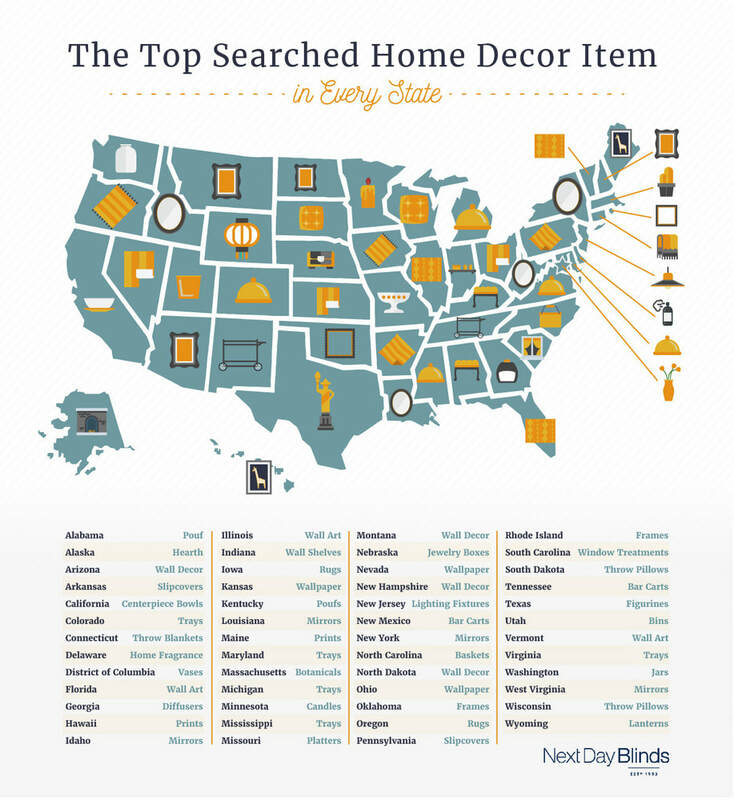 When it comes to putting our remodeling dollars to good use, Massachusetts homeowners prefer tackling their kitchens, according to a google study conducted by the design blog, Pots, Planters and More. In fact, this infographic created by domino.com shows the entire New England region overwhelmingly loves improving kitchens. Some of the findings shouldn't come as any surprise. Homeowners in the desert southwest and California prefer to spend their renovation dollars on creating a backyard oasis. You would think the same would hold true for the Sunshine State of Florida, but no, Floridians want a great bathroom. How about South Carolinians who are the only Americans focused on renovating their front porch? I think if I lived in South Carolina, I would live on the front porch too. 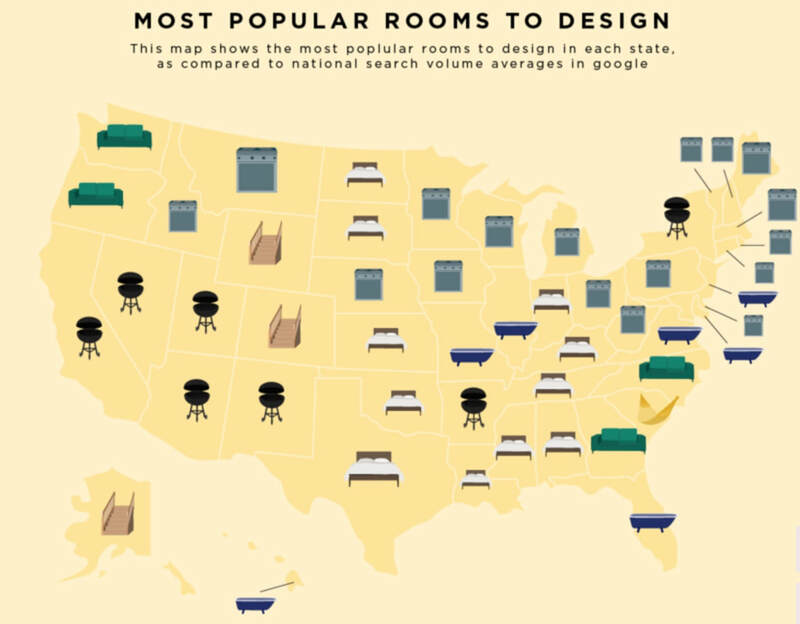 And what does it say about midwesterners who focus most on the bedroom? Hmmm. Note also that in Wyoming and Colorado, lands of big sky and mountain peaks, homeowners are going underground to create amazing basements. On Cape Cod it seems whole house renovations are the most popular project these days. Flush with cash from a big gain in the stock market in 2017, homeowners are taking some of the gain to dig new foundations, replace windows and roofs, and create great bathrooms and yes-- this is Massachusetts, great kitchens too. For more information on the design study, go to potsplantersandmore.com. Pets have been on my mind a lot lately. 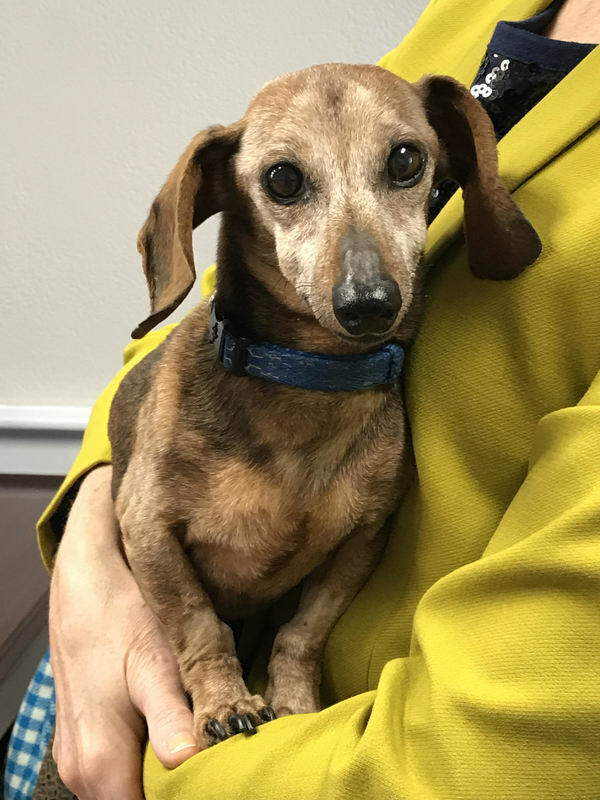 My 14 year old mini-dachshund has decrepit little kidneys and was given a death sentence last Christmas, but he's still here, slow, smelly, but otherwise still enjoying his life. Three years ago his german shepherd "sister" died at the age of 13 and a half. And I include that last half year because shepherds don't often last beyond 12. My Eika was my sweetheart. Recently two of my office mates put down their beloved dog who provided love and loyalty for 9 years. This is the time of life when the dogs my friends and I got for our children are wearing out and dying off. We're all walking around with holes in our hearts. The New York Times this week published a commentary titled "The Pain of Loving Old Dogs". Of her old dog Clarke, columnist Margaret Renkl wrote "He was the dog of our sons’ childhood, the pillow they sprawled on during Saturday-morning cartoons, the security blanket they returned to after an impossible test or a classroom bully or, later, a broken heart." We all had or have a dog like that. Dogs don't just expand our hearts, they enliven our homes. The National Association of Realtors reports that 95 percent of homebuyers believe it is important that a housing community make room for pets. ​Here are some other stats from the NAR about the power of pets. I'll wind this down with some laughter. Long before dogs were old, they were young. And very cute and very funny. Cape Cod's Snowy Owl Coffee Roasters named "Most Beautiful" in Mass. 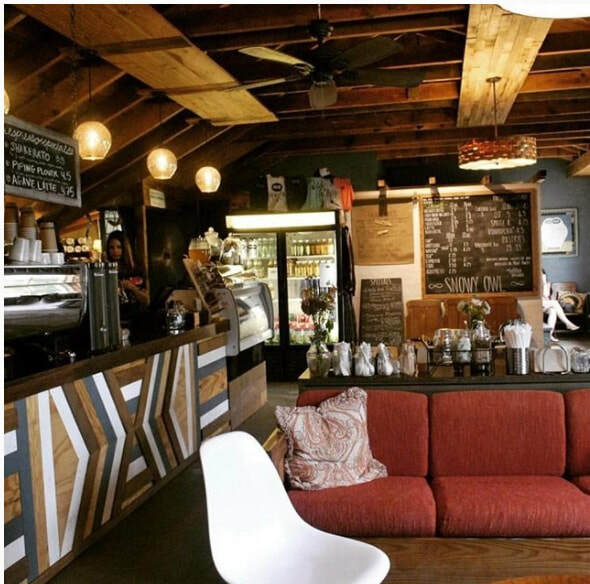 The Snowy Owl Coffee Roasters in Brewster was singled out as the "most beautiful" coffee shop in Massachusetts, in the January 18, 2018 issue of Architectural Digest. 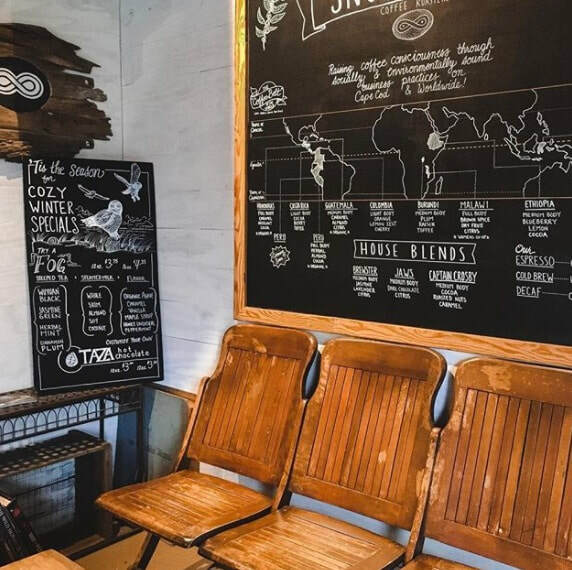 In a visually striking online post, the magazine offers the most beautifully designed coffee spaces for all 50 states. Of The Snowy Owl, the editors wrote, "Evoking a modern barn, the rustic wood beams and globe light fixtures—along with Persian rugs and warm reds—make Snowy Owl Coffee Roasters café feel like a friend’s getaway cabin". As predicted, lower inventory pushed Cape Cod home prices up by 6-percent over one year ago, according to the Cape Cod and Islands Association of Realtors. The latest data available shows the median price of a Cape Cod home is now $398,000. The supply of homes for sale dropped 7-percent in 2017, and that reduced the absorption rate to 5.3 months from 6.9 months one year ago. The absorption rate is the length of time it would take for the existing supply of homes to sell out at the current sales rate. Provincetown lead all towns with prices surging 33-percent. Orleans gained 13- percent, Mashpee was up 10 percent for the year. Dennis and Chatham saw pricing corrections, down -4.5 and -2.2, respectively. Prices were relatively flat in Harwich .5, Barnstable .6 and Yarmouth .9. Elsewhere, prices were up 5.4 percent in Falmouth, 7.9 percent in Wellfleet, 1.6 percent in Truro, 1.4 percent in Sandwich. Analysts cite several reasons for the lack of homes for sale. Homeowners who purchased when mortgages hit historic lows are now loathe to buy something else with a higher mortgage rate. Also, homeowners who would like to sell their Cape Cod home to purchase something different, can't find something they want. Looking at the year ahead, some factors expected to influence the Cape Cod real estate market are natural disasters and the threat of flooding, inflation and rising interest rates, and the restrictions on income tax deductions due to the Tax Cut and Jobs Act recently passed by Congress. States without income taxes such as Florida, Nevada, Tennessee and Texas are expected to benefit. But hey, you don't hear singer Patty Paige crooning about "Olde Nevada", now, do you? By early afternoon Wednesday, Maureen Niemi, tax collector for the town of Barnstable on Cape Cod observed, "we have 30-thousand tax payers in Barnstable and I think we've received a phone call or email from every one of them". In towns across Cape Cod and the rest of the country, millions of homeowners are trying to get ahead of new tax rules signed into law last week by President Trump that take effect January 1st. The rules restrict the amount of local taxes homeowners can deduct from their income taxes. Beginning next week, state and local income, property and sales taxes in excess of $10,000 will be taxed as income. Interest on mortgages up to $750,000 will be deductible, down from the current $1,000,000 limit. With the Tax Cuts and Jobs Act signed into law so late in the calendar year, homeowners have little time to strategize. So they're turning to their town tax collector for answers. "We had 30 voicemails waiting for us when we opened the office today", said Amy Bullock, tax collector for Harwich. "Normally we have one or two". People are asking if they can pay 2018 taxes before the new year, Bullock said. The average property tax bill in Harwich is $4,300 said Bullock, which leaves the typical homeowner with only $5,700 remaining for state and local income and sales taxes. It isn't just the higher-end property owners asking about the new rules, inquiries are pouring in about a range or property values, according to tax collectors across the Cape. In Falmouth, a woman identifying herself as Peggy from the tax collector's office said the phone "has been ringing off the hook" all day. Most people are doing the math and asking for the annual amount of their tax bill, Peggy said. Towns on Cape Cod operate on a fiscal calendar, which begins July 1st each year. Current tax bills approved by the town assessor is fixed for the first two fiscal quarters of 2018. Prepaying these before the new year will allow homeowners to deduct the full amount on this year's income taxes. However, any prepayment beyond fiscal 2017 will not be applicable to this year's income taxes, according to the IRS. While tax collectors are getting inundated with questions about the new tax laws, they stress they cannot give advice on how to best reduce a total tax income tax bill. "I have had to start telling people that I am not an accountant" says Barnstable's Niemi. "We can give them the amounts due for what has already been billed, we can tell them when the next bills will be issued, but we cannot interpret the new tax code for them". James Rubel contributed to this article. There are other facts about credit scoring you might not know. Using information provided by loan officer Bill Carey of Santander Bank on Cape Cod, I created this quiz. See how you do. The answers are at the end. 2. Every active credit card over ________ will drop the score. 3. You'll have no hit to your credit score if you pay collection within _______months. 4. True or False, paying credit card balances in full and closing the account hurts your credit score. 5. True or False, having zero balance on a credit card hurts your score. 1. c. 58-percent of the population has a score of 700 or over. 27-percent is 600-699, 15-percent is below 600. 2. b. The correct answer is 5. 3. c. You'll take no hit to your score if you pay collections within 6 months. 4. True. Closing the account will damage your credit. Makes no sense, I know. 5. True. This one also makes no sense, but, oh well. Thanks to Bill Carey of Santander Bank. If you'd like to contact him about financing for a new home purchase, email him at wcarey2@santander.us. Selling your home is hard. You're letting go of the most expensive thing you've ever bought and the buying public almost never gives you the amount of money you think your house is worth. And then there's the "ick factor" of strangers coming into your house, opening closets and cabinets and seeing your most personal, intimate spaces. On Cape Cod, listing agents take some of the sting out of the process, by being present for all showings with buyer agents and their clients. Between two licensed, professional real estate agents, your place is carefully monitored. But there are steps you'll want to take to reduce the chances something could disappear or go wrong. 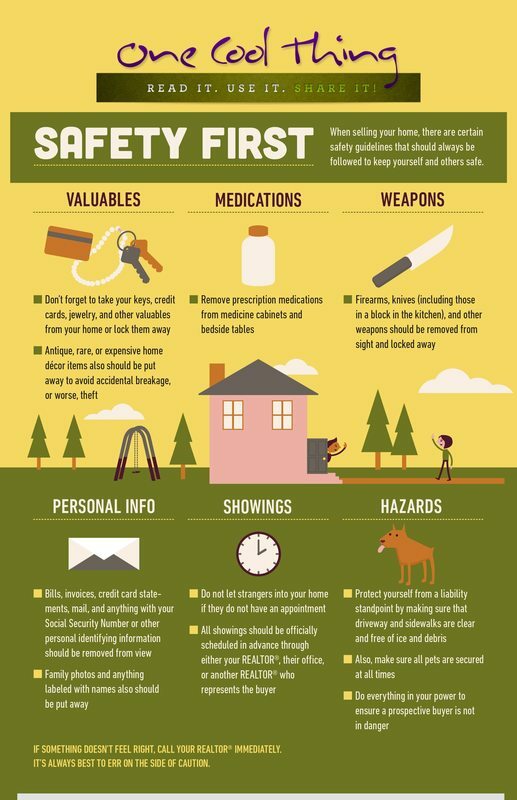 Our friends at zipforms, an online real estate form vendor, created this infographic to help you prepare your home for public viewing. If you'd like more information about this or anything else related to selling your home, text or call 617-637-6711. I'm happy to assist you. Quick, grab the camera and take some photos of your home and yard, right now, when everything is colorful, robust and beautiful. You may need those photos if you decide to sell your house in winter or spring when the color is gone and vegetation gives up looking like anything. Cape Cod, as the rest of the northeast and midwest, looks drastically different when plants die back to the ground at the first hard frost, usually in October. For the six months after that, potentially half the time when new inventory of homes hit the market, landscapes lack hope. Most important, potential buyers have no idea what your place looks like when the yard is at it's peak. Heck, by March, I don't remember what my own yard looks like in summer, and I planted all of it. To help yourself with a faster sale, potentially for a little more money, take wide shots of the house and yard right now, with everything bloomed and happy. Remember to avoid taking close-ups of the plants themselves. You're not creating a plant catalogue. It's real estate. 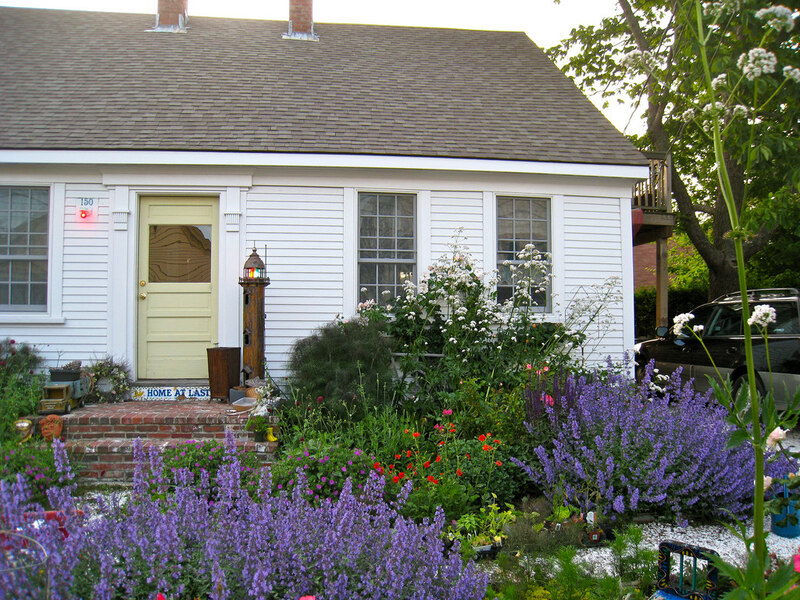 Buyers want to know how your shrubs and flowers frame the home. They want to see where the shade of the trees provide relief from the sun. They want to check out the condition of the lawn to know if the irrigation system posted on the listing actually does its job. ​Plus, a yard that's well cared for further reinforces that the entire property is loved, giving buyers greater confidence that this place is worth the asking price. Your photos won't replace the professional images your realtor's team takes when the home is getting ready for market because that could have a negative effect. When all the new inventory has snow on the ground, a cover photo of a yard in full bloom might suggest this listing isn't new at all, but one that's been on the market since last summer! Your realtor will simply use yours as additional images at the end of the online photo roll-- usually 25 to 35 photos in all. And while we're at it, let me say once again that on Cape Cod at least, listing inventory is at historically low levels and buyers are eager to spend. Contact me for a marketing strategy any time. It's free. And it's my pleasure. Do you love Cape Cod fried clams? Fried cod? French fries? Do you follow them up with an ice-cream cone? If so, your gallbladder probably doesn't love you. Though gallbladder surgery is the sixth most common surgery performed in the U.S., it is the second most common surgical procedure on the Cape, according to Hyannis surgeon Larry Novak, M.D. In a report published by Cape Cod Healthcare, Novak says the emergency room at Cape Cod hospital is the busiest of all Massachusetts hospitals in the summer months and unhappy gallbladders are one of the reasons why. What begins as a queasy stomach from a meal high in fat, can end up with breathtaking pain and a trip to the E.R. Novak says tourists who don't indulge in these Cape staples all year, often overdo it while on vacation, and that overwhelms their gallbladder's ability to filter out the fat. Oftentimes the solution is laparoscopic removal of the organ. Novak says after some bland foods for a few weeks, the body adjusts and patients can return to their fatty treats, although he advocates a healthy plant-based diet for all. Symptoms of gallbladder trouble include abdominal pain after eating and fever. Though the pain of the early attacks may subside, the problem of a diseased gallbladder will only worsen until it won't be ignored. So, in addition to the threat of sharks in the water, now we have to worry about fried clams attacking our gallbladder. Oh well, winter is coming. 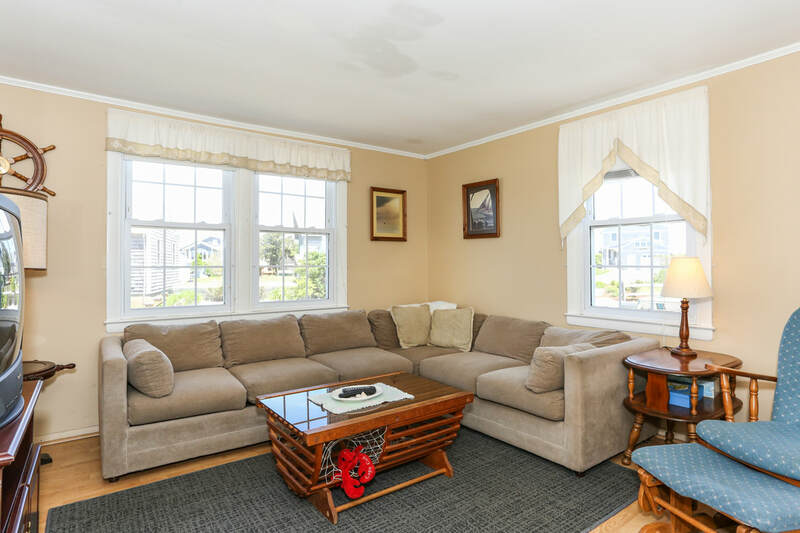 You found the Cape Cod place you want and you're ready to place an offer. The problem is, in 2017, the supply of homes is at record lows and chances are, you could lose out to other buyers who offer to pay more. How do you give yourself an edge? I spoke about this last month on Claudette Vickery's weekly Cape Cod Real Estate Show. My solution was an escalation clause. This is an offer that, when placed against a competing offer, pledges to beat the competition by a set amount. Here's how it works. Suppose the house you want costs $375,000. You're ready to offer $350,000. But now you hear there is a competing offer coming in. You can still offer $350,000, but that might not be enough, especially if the home is new to the market. You can place a full-price offer, but even that may not be enough to beat the competition. The problem is, you don't know the amount of the other offer. Only the sellers and their agent have that information, and they're not saying. We're flying blind. We don't want you to pay more than you have to, but you've decided it's got to be enough to get it. What if the other offer was only $340,000? Your initial offer of $350,000 would have been enough. That's when I suggest an escalation clause. We write the offer so that we will beat the competion by $1,000 up to a limit. In this case we may cap our escalated offer at $376,000. Remember, if the buyers need a mortgage to finance their purchase, the lender might not appraise the house at more than the listed price anyway. 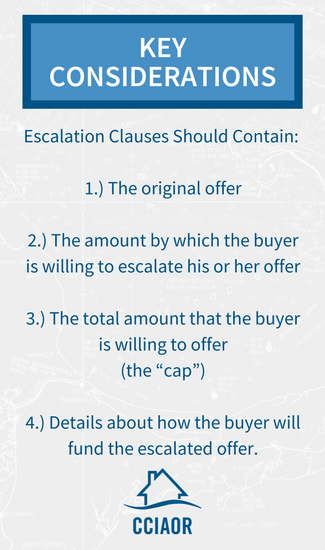 Every offer should include a letter of prequalification from a lender, so you want to make sure you've got the escalation clause covered as well. After that, you're good to go. ​Happy hunting and good luck. One of the easiest ways to upgrade a kitchen is to switch out the backsplash -- that wallspace between the countertops and the cabinets that occasionally takes splashes from dishwashing and food prep. Tile is the most common material chosen, however whole slabs of solid surface stone or even scrubbable paint are popular choices too. Our friends at Houzz.com have some high-impact examples to inspire you. Enjoy. Cape Cod is famous for many splendors-- beaches, fried clams and lobster rolls, charming architecture and sharks. But it's also renowned for the beauty of its gardens. As an enthusiastic gardener, the most common question I get from my Cape Cod home buyers is, how do you prune hydrangeas? Enter the Cape Cod Garden Academy, a new youtube playlist I began with my smart friend, Megan Moreland of Harwich, a graduate of the prestigious School of Landscape Architecture at Cornell University. Megan and I explore the many beautiful plants available to our Zone 7 climate, and the best way to care for them. Our eight-month growing season insures month after month of color and texture outdoors. I hope you'll also get the sense that we don't take ourselves too seriously. Fun should vastly win out over frustration when you're digging in the dirt. 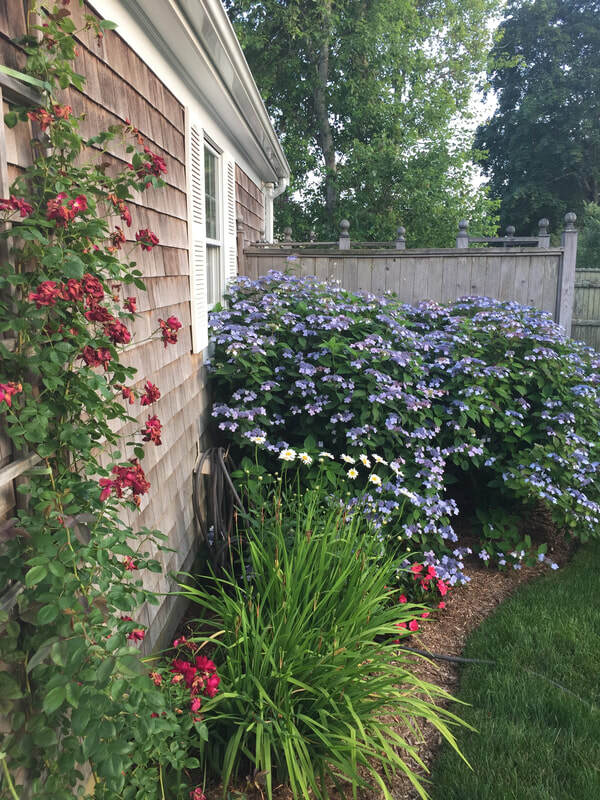 A few years ago, an airbnb guest from the U.K. remarked that "Everything is so beautiful here", referring to the colorful Cape Cod gardens. "Why is that?" How interesting, I thought, that a native of England, home to some of the most beautiful gardens of the world, would take note of what we have on the Cape and ask why it's all so perfect? Enjoy our first three segments below. And if you have a gardening question, or an idea for an upcoming segment, write me at mgreen@kinlingrover.com, or send a tweet to @MaureenGreenCC. As Megan states in the inaugural video, there's plenty of beautiful color ahead. The home at 747 Queen Anne Rd. in Harwich was ablaze this week and the cause was a mystery, at first. No one lived there in the winter. The home was an unoccupied vacation property. My old days in the news business taught me that an unoccupied building that catches fire is definitely suspicious. But the cause of this one was different. The Harwich Fire Department concluded that a mirror hanging in the outdoor shower is what touched off the fire. And apparently, these outdoor shower fires are common. The sharp, low angle of the sun caught the mirror at just the right angle, and focused intense light onto the dry wooden wall of the shower. Spontaneous combustion ignited the wood and there went the back of the house. I hang an outdoor mirror in my shower in the summer months but from now on I'll be sure to place the mirror on a north-facing wall, out of reach of the sun's powerful rays. Until this Harwich house fire, I thought the biggest risk from an outdoor shower was a tumble on occasionally mossy, slippery flooring. But not anymore. Now I know an outdoor shower can spark a fire by itself, and burn the house down. Your next trip to the Cape Cod National Seashore will be less of a bumpy ride, thanks to road improvement projects that began today. Reconstruction at the road to Marconi Beach in Wellfleet, and in parking lots at the Province Lands area of Provincetown, and two locations in Eastham will last approximately three months. It's part of a $2.3 million enhancement to Cape Cod National Seashore assets. A Buffalo, NY firm, Call Associates, will conduct the work to include removal of old pavement, subsurface reinforcement and resurfacing. The firm says road closures will be kept to a minimum and all areas should be open and fully functional by the time vacationers arrive this summer.